Hamari Adhuri Kahani 2nd Day Collection: Hamari Adhuri Kahani collected around 5 crores on its first Saturday at Box Office. Emraan Hashmi and Vidya Balan starer Hamari Adhuri Kahani seems to be losing at the domestic Box Office. After getting an average opening with the first day collection of 5.04 crores, there are no signs of revival for Mohit Suri’s romantic drama. The movie collected around 5 crores on first Saturday and is heading to a poor opening weekend. The movie now stands at a total collection of around 10 crores which is poor considering that the movie is backed by Mohit Suri and stars A-list actors like Emraan and Vidya. As predicted by us, the movie starts off on an average note at Box Office. Well, the expectations were huge from Mohit Suri and his team but the poor direction and over the top melodrama has backfired this time. Hamari Adhuri Kahani is facing a stiff competition from Jurrasic World and Dil Dhadakne Do. Cinema-goers seems to have more interest in action and entertainment rather than a melodramatic love story. Hamari Adhuri Kahani has received poor reviews from critics. The WOM from the public hasn’t been good either and it is unlikely that the movie will show any growth on coming days. 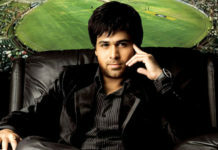 Looks like another flop on cards for Emraan and Vidya. They are having a terrible time at Box Office. Stay tuned for more Box Office updates and reports.